It’s nearly one year since I launched my Mums Off Duty blog, and I’m sitting here thinking about all the exciting things that I’d love to do with it, now that Ethan is at school and I have more time. I realised, though, that I’ve never really shared with you why I started my blog in the first place. So, in the spirit of our ‘fresh starts’ theme this month, here is a little post about why I started this blog, where I hope to take it and how I’d love you to be part of it. Let me take you back to the beginning of my Mums Off Duty journey. Before we had Ethan, I worked in central London, right next to Trafalgar Square. I was a digital content manager, so I wrote and managed online content for the corporate intranet and website. It was a busy job, stressful at times, but I loved the rest of my team and we always had a laugh. I was never completely sure if I would return after maternity leave. Once I started researching the costs of commuting plus childcare, it became clear that returning to work was not financially worth it. The only way it would work was if I returned full time and that wasn’t what we wanted. 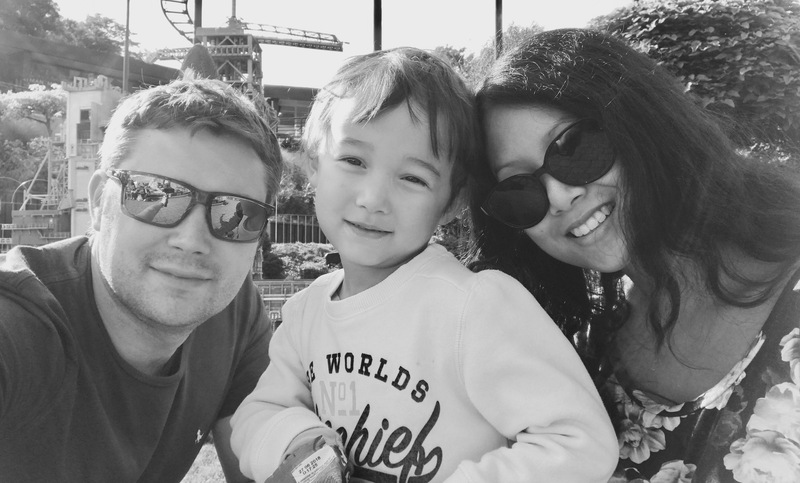 My husband’s job in Canary Wharf is extremely demanding, with long hours, and I knew that most of the responsibility of looking after Ethan would rest with me. I didn’t want to throw a full-time job into that mix, for very little return. Once Ethan started nursery, and I had a bit more time, I knew that I wanted to start working again. Being a mum is brilliant, and it will always be my biggest achievement in life. I realised that work, though, brings a different sense of achievement and self-confidence that I had been missing. I’m a good mum, I know that, but very rarely does anyone tell you that you’re doing a good job. And it’s probably the toughest job out there. There are no ‘personal development reviews’ where you can get top marks, or a nice bonus, or even a pat on the back. My old boss used to give us high fives if we’d done something particularly good which we always joked about, and I never thought I’d miss them, but I kind of do! In fact, as a mum, you may find you get more criticism than praise, whether that’s from other mums or family members. It’s really hard to not let this affect you, especially if you’re feeling a bit vulnerable, and your confidence and self-belief is low. You have to trust in yourself and believe that you’re doing a great job. Have a high five from me. So I wanted to get back into work, to find that bit of self-confidence that I’d lost. I’ve always loved to write, and I’m a bit of a website geek, so sticking with the digital world felt like the right place to start. As I’d been at home with Ethan for three years, motherhood for me had been all-consuming. I’d almost lost myself and my own identity. Not completely, I don’t want to seem over-dramatic, but I’d certainly forgotten about all my previous interests and passions. Exercise had gone out the window (I was really active before), and I was suffering with excruciating lower back pain because of it. The doctor gave me a bit of a wake-up call. He said that I needed to reevaluate my lifestyle and prioritise my own health. So I had some physio, and slowly started to exercise again. My back improved and while I do still get bouts of pain, it’s not as bad as it was. I realised that there were probably a lot of other mums out there who were in the same situation as me; who had put themselves at the bottom of the pile while dealing with all the mega demands of being a mum, and could be suffering as a result, either physically or mentally. After a lot of research and planning, and getting over self-doubt, I created Mums Off Duty. I wanted to create a blog where I could encourage mums to take care of themselves too, and to try and find that all important time for self-care, learning new things, exercise…whatever it is that makes you happy and feel good about yourself. We all need time to recharge. Time out is not a luxury, it is a necessity. I have so many exciting plans for my blog. I want to share lifestyle tips and inspiration on all sorts of topics. I’m inviting guest bloggers to write posts and share their expert advice with you. There will be more videos on my YouTube channel, and hopefully some fun events further down the line. We live in Letchworth, Hertfordshire, and it’s important to me to support local businesses and showcase those that have something great to offer you. You’ll find these in our Mums Off Duty Directory, which I hope will grow into a really useful resource for you. I’ve also been working with the fabulous Maxine from Digital Bon Bons on a brand new look for Mums Off Duty. I’m really excited to reveal that in the next few weeks. For Mums Off Duty to be a real success, I need to know that I’m sharing things that you want to read about. Please join me on social media so that we can chat and share thoughts and ideas (I’m on Facebook, Instagram and Twitter). There’s also a super quick survey if you’d like to take it here (thank you very much, I really appreciate it). If you hear about a great local event, please share it on our Facebook page so that we all know it’s happening and can pop it in our diaries. I’m a team of one, so I need your help to be my eyes and ears in your local Hertfordshire town. If there’s something you’d like me to cover on the blog, please send me a message, I’d love to hear from you. Please feel free to share any comments below, it would be lovely to hear from you. Thank you so much for all your support so far. I really hope you continue to enjoy my blog.